For the second time (the first being in 2011, the year of cold and rain), I made my way to Spring Valley, Minnesota to make a run at the Almanzo 100. 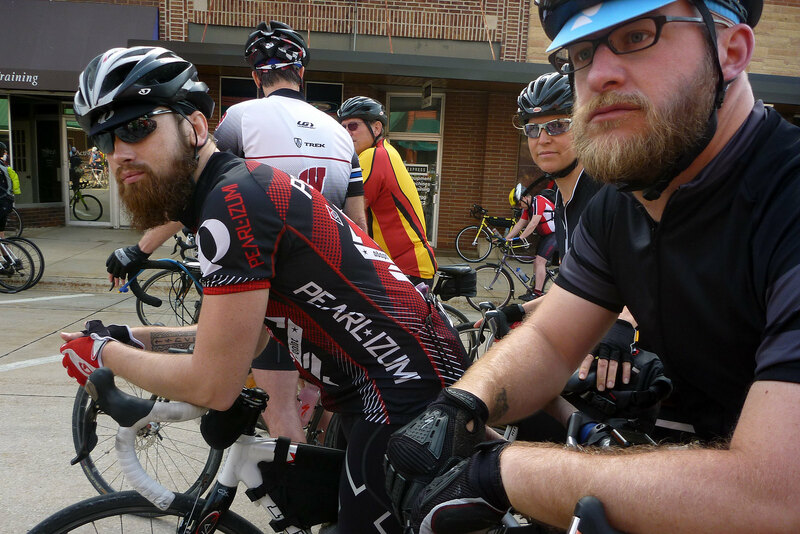 Some things were different: the weather was near perfect; there were seven of us instead of two; and there were nearly 1000 riders starting the 100 mile version. But some things stayed the same: I rode the Albatross; I wore black; and I still didn’t finish. So what went wrong? In a nutshell, my mind went to places it should not have gone, and I first got irritated with damn near everything under the sun, and then just got tired of being pissed off. Right about that time, I got to Preston and shortly after that I ran into the wives of a couple of other riders that I know, who were more than happy to give me a lift back to Spring Valley. And that was that. Mental failure, pure and simple.